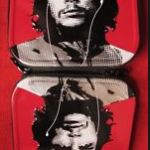 Target, the retailer that distinguished itself last year by banning Salvation Army bell-ringers, has topped itself this yuletide by selling Che Guevara CD cases for a little tyrant-chic right under your tree. The big box retailer has jumped onto the Guevara bandwagon, selling the murderous revolutionary’s image as if it had just turned its stores into Marxist rally stalls. What next? Hitler backpacks? Pol Pot cookware? Pinochet pantyhose? Target gives this monster a pass, while using common sense on almost everything else it sells. We can only guess it’s because Alberto Korda took one glamorous snapshot of Guevara in 1960 that has delighted leftists and blown around at global anti-American rallies ever since, something Target might do well to consider. The firm is not immune to trendy leftism. In its Community Giving program, it has given cash to artist Rupert Garcia, whose claim to fame is glorifying Guevara, something noted on Target’s Web site. All this reflects an indifference to history. For some real market research, Target ought to go to Miami, a shopper haven that is a place of exile for the 20% of Cubans who fled for their lives from Guevara’s communist Cuba. For them, Guevara was no hip revolutionary with a free spirit wearing earbuds, as the Target CD case shows. He was a psychopath with a central role in Cuba’s 1961 mass executions in the “year of the wall.” Guevara personally signed at least 600 death warrants and executed children against firing squad walls; he was responsible for at least 2,000 deaths. After that, the Argentine-born communist organized Cuba’s gulag. His violence was so over the top it scared even Castro, who eventually sent him away to fight mercenary wars in Africa. 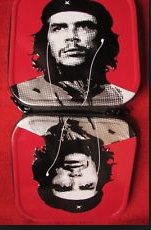 Che Guevara CD case, sold at Target until it was pulled, following publication of this editorial. Guevara also left a lot to be desired on a personal level, never paying bills, living in houses he confiscated and wearing Gatsby suits and smoking from a cigarette holder as Cubans starved. Target would be well-advised to yank the Guevara trash from its shelves, melt it down and purchase their buyer some history lessons. Even for the sake of self-interest, it would make sense, because marketing Guevara probably will come back to bite. The ailing Castro is en route to the ash heap of history and freedom’s gales are blowing through the land he has long oppressed. If there is any justice, there will be a democracy and there will be a reckoning. Leftists who romanticized Guevara will be called out and the consequences will reach U.S. shores. Note: What happened after the editorial was published.